Percnon planissimum (Herbst 1804), the Flat Rock Crab. Found in shallows on roundish boulders scurrying out of view. Carapace about one inch in diameter. DiF pic in Cabo. 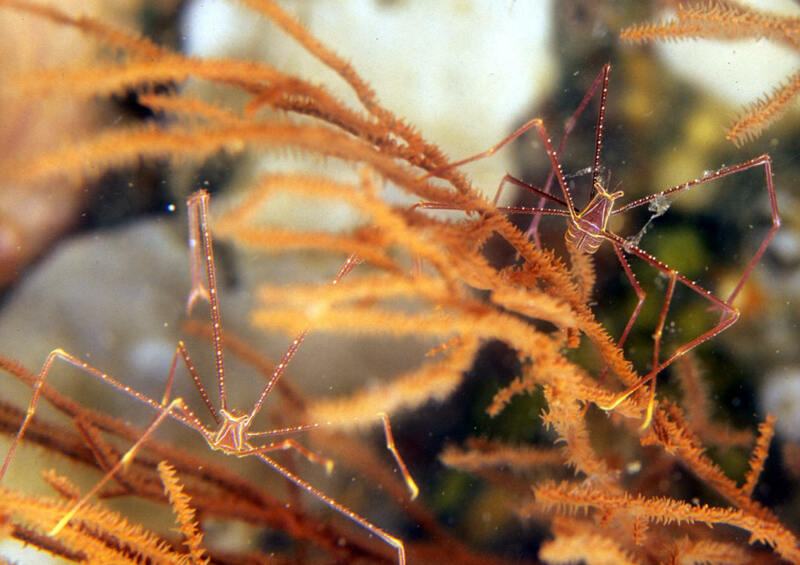 Percnon gibbesi, the Nimble Spray Crab. Tropical West Atlantic. 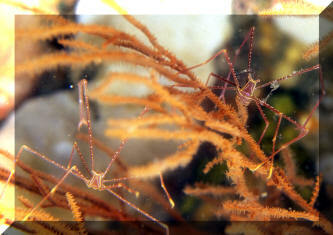 Live in reefs, rocky areas. Hide under Urchins and rocks. DiF pic in Bonaire.